Have you ever thought how much time you spend in the laundry room? Probably more than in the bathroom. And yet, while bathroom design constantly evolves, the laundry room is often hidden in the basement, separated from the life of the home. To design a laundry room, besides the washer and the dryer, there are some other things you need to consider. Task lighting, like under-cabinet strips, is designed to illuminate specific work zones. 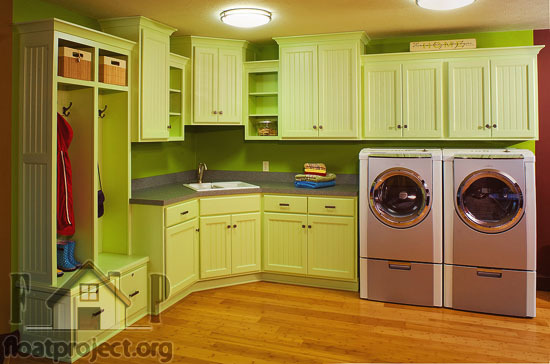 Ambient lighting may not be sufficient for your laundry room, so determine which areas require additional lighting. You may want to install a utility sink in your laundry room. 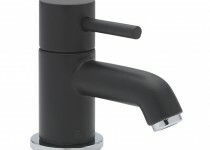 It is necessary, because you can use it for hand-washing, soaking heavily soiled clothes, like sports gear and even as an area to pot house plants. Installing hanging racks will provide a place to air-dry delicate fabrics and hang shirts straight from the dryer. You have the option to choose a steel bar, a retractable clothesline or a fold-up rack. You may want to have counters with varying heights. Higher counters are perfect for folding the clean and dry clothes, while lower surfaces are suitable for installing the sink. Also, install cabinets to hide and organize various items like detergents and cleaning supplies. You may even fit ironing board, pull-out hampers and sliding utility rails. You should use water-resistant materials for the appliances and furniture in the laundry room, like stone or ceramic floor tiles, which are durable and easy to clean, and concrete or laminate counters. 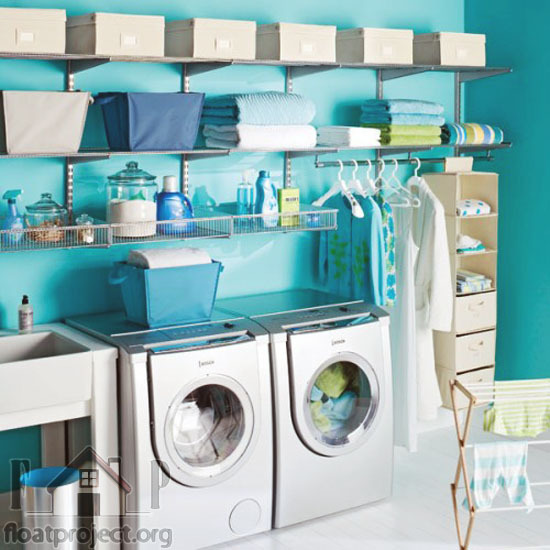 For a laundry room you can use a hallway closet, fitted with a waterline. Use stackable machines with front-loading design, which will allow you to have a full size washer and dryer. You can squeeze them into a narrow passage and leave room to one side for storage shelves. Install a sliding door to save space. Whether you like it or not, doing laundry is a fact of life. 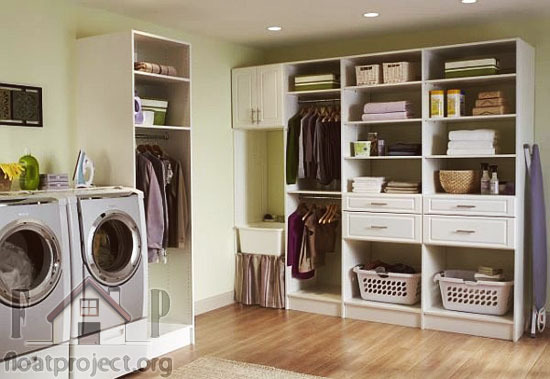 It is a good idea to have a properly equipped laundry room, because it will make life easier all around. 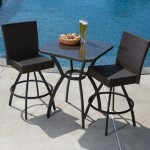 It will also keep other areas of your home uncluttered.